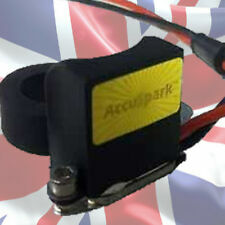 This is the AccuSpark 12 Volt 1.5 ohms Sports Coil. 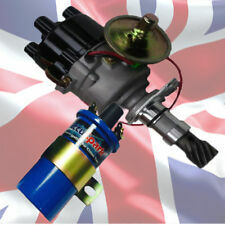 Benefit from the increased windings that give the AccuSpark Blue Sports coil over 25% extra potential. 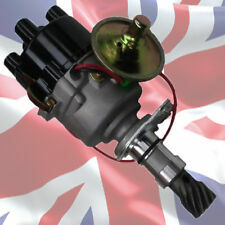 For example, in a 4 cylinder engine the distributor will rotate 360 degrees. 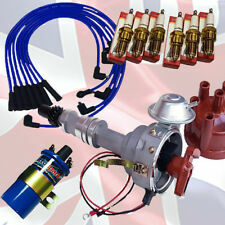 Accuspark electronic ignition kit with adaptive dwell. FITS ALL PINTO ENGINES ALL MODELS. Fitted with a Bosch distributor. Not suitable of Motorcraft distributors. ONLY BUY IGNITION KITS WITH THE GOLD SECURITY HOLOGRAM. Lucas 25D and 45D type distributors were used from the early 1960's to early 1980's. 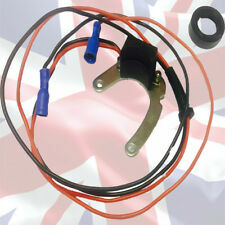 Converts all Lucas 23D, 25D, 45D and 43D points distributors to electronic ignition. With only a Strobe light required to fit, you can bring your old classic car ignition into the 21st Century. Important Note: Pinto engines are normally fitted with a ballast coil. If using our Red Sports coil. 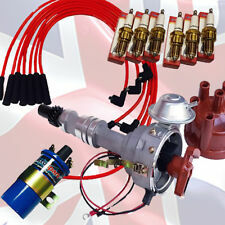 This SVDA Electronic Distributor is Suitable all Cars fitted with the Ford Pinto Engine. The ballast resistor or wire will need to be removed. 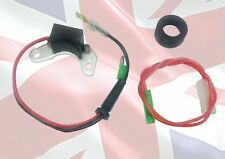 This is the AccuSpark 12 Volt 1.5 ohms Sports Coil. 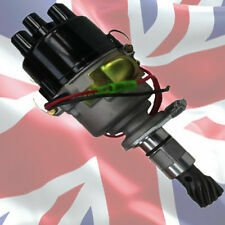 Benefit from the increased windings that give the AccuSpark Blue Sports coil over 25% extra potential. Now the clever bit. When the engine is cranking the starter solenoid feeds the coil directly with 12 volts, bypassing the resistor. Lucas 45D type distributors were used from early 1970's to early 1980's. ONLY BUY IGNITION KITS WITH THE GOLD SECURITY HOLOGRAM. With only a Strobe light required to fit, you can bring your old classic car ignition into the 21st Century.